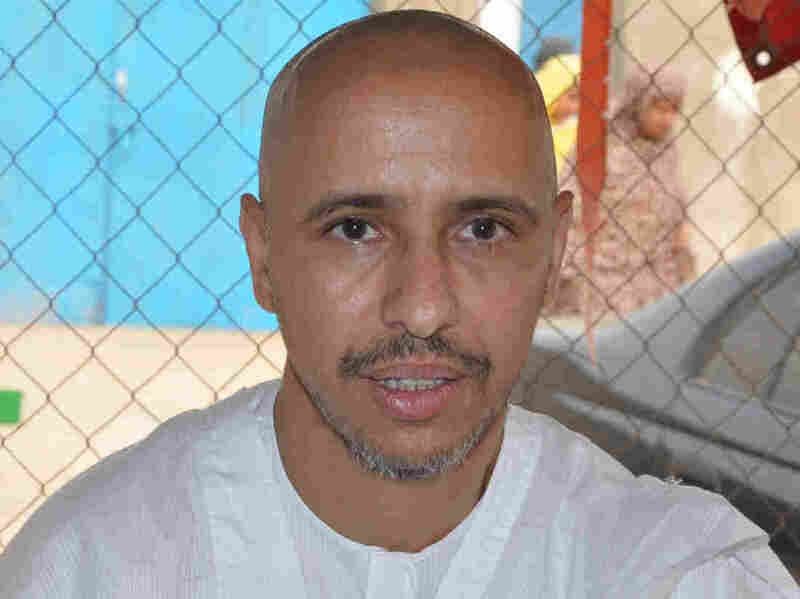 Author Of 'Guantanamo Diary' Released From Military Prison : The Two-Way Mohamedou Ould Slahi was sent to his home country of Mauritania after 14 years of imprisonment. His heavily redacted book about his time in the U.S. facility was published in January 2015. Mohamedou Ould Slahi, a recently released Guantanamo Bay prisoner who wrote the best-selling book Guantanamo Diary, in Nouakchott, Mauritania. Slahi returned to his home country of Mauritania. A YouTube video showed him at a family home in Nouakchott, Mauritania, reports the Miami Herald, "thanking God, his government and the Mauritanian people." 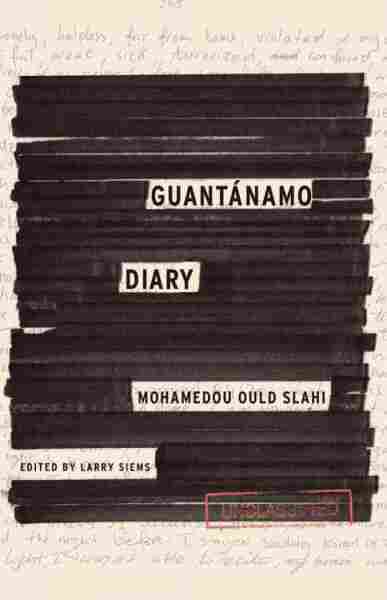 In 2005, Slahi wrote a 446-page handwritten account of his imprisonment, titled Guantanamo Diary. When it was published in January 2015, heavily redacted by government censors, the book made Slahi one of the best-known prisoners at Guantanamo. The memoir went on to be a best-seller in the U.S. In an interview with NPR in January, Hina Shamsi, a lawyer with the American Civil Liberties Union, explained how Slahi came to be imprisoned in 2002. "He wasn't captured on a battlefield," she said. "He voluntarily turned himself over to authorities in his native country of Mauritania for questioning." Then, Shamsi said, Slahi was "subjected to one of the most brutal torture regimes at Guantanamo." NPR's David Welna has reported that what Americans did to Slahi during his time in custody was "extraordinary" compared to interrogations of other Guantanamo detainees. "In 2003, then Secretary of Defense Donald Rumsfeld personally approved what was called a special interrogation plan for him. It used so-called enhanced methods. According to a Justice Department investigation, he was beaten, sexually throttled, put in extreme isolation, shackled to the floor, stripped naked and put under strobe lights while being blasted with heavy metal music." The decision to release Slahi comes four months after the Pentagon's Periodic Review Board held a hearing about his fate. Just getting the so-called status review by the board was a long-sought victory for Slahi's defense, as David Welna reported at the time. A profile of Slahi read at the beginning of the June hearing called Slahi by his prisoner identification number, MR-760, and noted that "Throughout his detention, MR-760 has maintained his support for jihad, but clarifies that his notion of jihad neither condones the killing of innocent people nor supports Bin Ladin's 'version of justice.'" If repatriated to Mauritania, the profile added, Slahi "probably would reunite with his family, take care of his sisters, and start a business," and, if permitted, "travel internationally to promote his book." In July, the board recommended Slahi for release, according to the Pentagon press release. With Slahi gone, 60 detainees remain at the Guantanamo Bay prison.